I asked the boys if they'd rather just skip school altogether today and head outside to swim and play for the day. 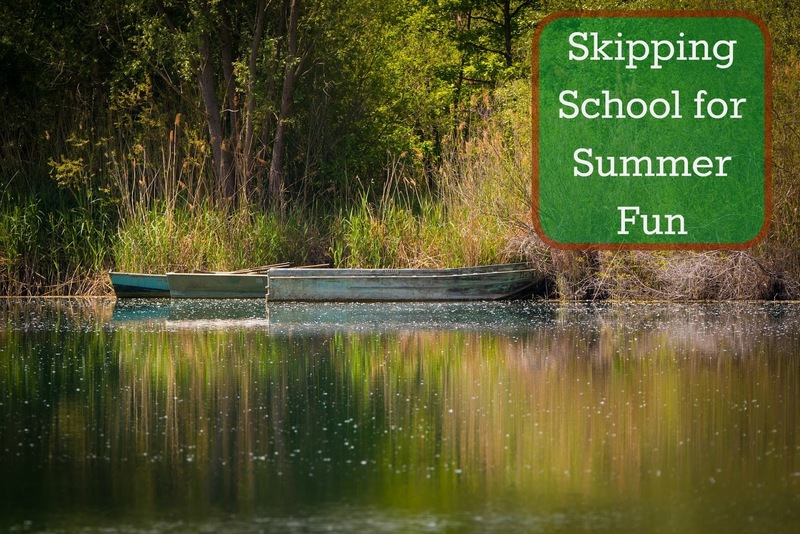 I realized that we have been so focused on schooling that our summer is passing us by! That used to be our daily routine here on the lake and I miss it! The boys surprised me though, as much as they wanted to go swimming, they told me it's boring to just swim all day when it's only the three of them. They asked if we could invite their cousins over or someone to play and I told them I'd see what I could do. My mother called a few moments later and asked if she could come visit. Just as we were all settling in outside on the patio my sister showed up with her two little boys and so we spent a wonderful "family" day on the lake. The boys swam, jumped off the dock and made up games to play both in and out of the water. Alec brought down the Scrambled States of America game and played a few rounds with my sister and mother. It was a perfect, lazy summer day! The boys all had fun fishing, feeding the ducks and cooling off in the water. We had to look up "what do Mallard Ducks eat?" since the boys kept asking and I had no answer. We learned that they eat all sorts of fish, eggs, seeds, roots, plants and even frogs. Evan caught, what he thought, was a butterfly. I wasn't so sure since it was pretty drab and just looked more like a moth to me. Not wanting to tell him he was wrong (in case he was right!) we looked up "what is the difference between a moth and a butterfly?" and found this great site that told us what to look for in identifying the two species. Turns out Evan caught a moth today! We talked about how the moths and the butterflies hold their wings differently and the differences in their antennae. S[ick]! Yet learning a lot! Mini Van Gogh's; Trying to Paint Like a Master!